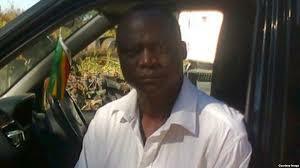 The Zimbabwe Defence Forces has dismissed a story being peddled by some privately-owned publications alleging that Elliot Piki, a senior officer dishonourably discharged from the army for having an affair with his subordinate’s wife, was kidnapped from his home on Sunday last week. Zimbabwe Defence Forces spokesperson Colonel Overson Mugwisi said Piki was working with unscrupulous political opposition voices to denigrate the Zimbabwe Defence Forces through the private media. He said it was a question of sour grapes and desperate efforts to tarnish the image of ZDF. “We are disturbed by false allegations peddled in some sections of the private media insinuating that Elliot Piki, a former member of the Zimbabwe National Army, was abducted by masked armed men suspected to be State security agents using a vehicle similar to those allocated for use by senior Zimbabwe National Army officers,” said Col Mugwisi. “While it is true that Elliot Piki once served in the Zimbabwe National Army as a senior officer, he is not a retired colonel. Piki’s lawyers now claim he escaped from his kidnappers in Rushinga, in Mashonaland Central. According to the articles in the private newspapers, Piki was allegedly abducted by armed masked men, amid claims at the time that he was due to testify before the Commission of Inquiry into the August 1 post-election violence that resulted in the death of six people. On Tuesday last week, according to the newspapers report, Piki pitched up at the commission of inquiry where he was allegedly barred from testifying.